Two young females are breaking barriers in the vocational arena, having both studied and secured carriers in the construction industry. 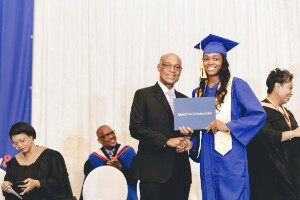 Lanique Brice and Santana Dean – 2018 graduates of the Bahamas Technical and Vocational Institute (BTVI) – are employees of DTEC Plant Services LTD (DTEC). As a DCO Energy subsidiary, the company is responsible for managing the maintenance and operations of the chilled water plant and emergency backup generator that provides cooling of air conditioning systems for the entire Baha Mar property. 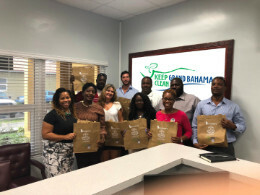 Freeport, The Bahamas, July 16, 2018 – Social media best practices to take the spotlight for entrepreneurs and small business owners at upcoming workshop. One again on July 3rd, EARTHCARE presented to summer campers attending the ICAN Summer Camp at the Kevin Tomlinson Academy. 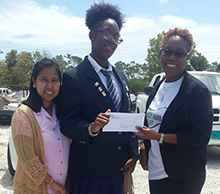 Bahamian Environmental issues: Pollution, Climate Change and Sea Level Rise were the focus. 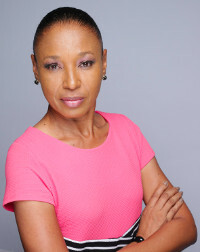 July 2018- ParrisWhittaker is a boutique law firm based in the Bahamas making incredible strides in the legal industry, with a growing collection of awards which now includes the Global Law Experts (GLE) Award for Commercial Litigation Law Firm of the Year in the Bahamas – 2018. Last month, twenty-six seniors graduated from Mt. Carmel Preparatory Academy, and the school is happy to report that all students were accepted into colleges locally, in the United States and Canada. The school is particularly proud that four of its graduating class members have received full academic scholarships. TEDxGrandBahama returns for its fourth year and will take place on Saturday, 30th June, 2018 at 7:00pm at Market Square in Port Lucaya Marketplace. While seemingly harmless, the use of Single-use disposable plastic bags is suffocating our planet. 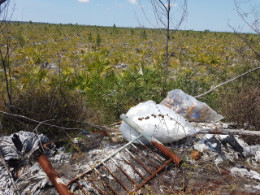 In the US alone, it is estimated that up to 60,000 plastic bags are consumed every five seconds, making plastic bags one of the most common types of litter worldwide and prompting governments around the world to ban their use. The Grand Bahama Port Authority (GBPA) is delighted to be the title sponsor of the 2018 Conchman Triathlon event, for the third consecutive year. Since inception, the Conchman Triathlon always takes place on the first Saturday of November each year and is a successful and long-standing event on Grand Bahama Island. This year marks the 32nd Annual GBPA Conchman Triathlon, which will be held on Saturday, November 3rd, 2018 at Taino Beach. 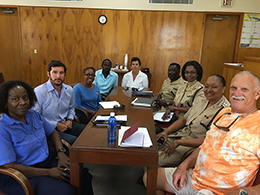 Sarah St. George congratulated Chris Baker, Ravanno Ferguson and their team for organizing this 32nd Annual Conchman Triathlon. 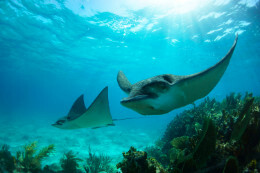 Oceans are the lifeblood of planet Earth. Covering nearly three-quarters of our planet, the oceans of the world hold up to 97% of the planet's water, produce more than half of the oxygen in the atmosphere, and absorb the most carbon from it. As an archipelagic nation, The Bahamas has and continues to rely heavily on the bounty of our oceans for food and sustenance. The countdown has begun to the country’s first ever Blockchain & Cryptocurrency event to be hosted in the Bahamas. 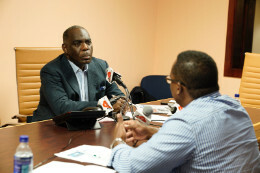 On June 20 – 22 the government of The Bahamas will welcome more than 1,000 international investors, entrepreneurs, wealth management executives, blockchain industry miners, and countless others to Grand Bahama Island to help chart the way forward in the burgeoning cryptocurrencies environment. One thing’s for certain, if you didn’t catch The Holy Hook Up when it landed on stage as a teaser last year, you’re bound to fall in love hook, line and sinker when it returns full blast at the Regency Theatre on Friday, June 8th. When the play first debuted, it lasted all of 30 minutes and shared the stage with two others. 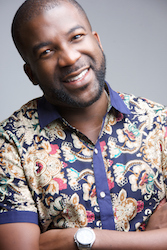 This time around, Shauna Joseph Productions promises it’s returning with all the bells and whistles, additional cast members and a whole lot more laughs. 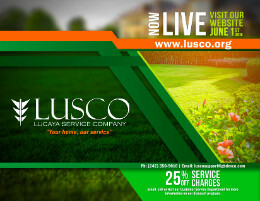 Lucaya Service Company (LUSCO) announced the launch of its new website, www.LUSCO.org. The website will provide better engagement and communication with LUSCO’s customers, through real time sharing of relevant information. It is often said, but very true – ‘that children are our future’. As the generation that will inherit planet Earth, there is a need for young people here at home and around the world to be educated on the ways which they can help protect the environment and extend the life of our beautiful planet. 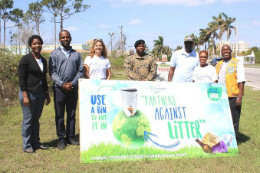 Freeport, Grand Bahama – Over the past month, the Grand Bahama Port Authority (GBPA) in collaboration with the Keep Grand Bahama Clean Committee (KGBCC) has been focusing on initiatives to highlight the importance of and encourage the concept of creating partnerships to address littering on the island of GB. 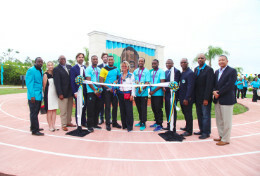 Monday, April 23rd, 2018, marked a historic occasion for the island of Grand Bahama with the official unveiling of a truly unique 360 degree four-sided Monument dedicated to the Four Golden Knights’ victory in the 4 x 400 Men’s relay in the 2012 Olympics. 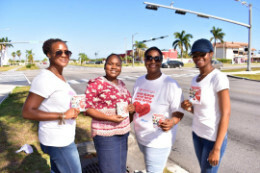 Pumped up for its first blood drive for the year, the Blood Donors Society of Grand Bahama (BDSGB) is back on the road to promote its “Gift of Life” Campaign set for Friday, April 27th. The much anticipated blood drive kicks off at 10:00am to 4:00pm at the Rand Memorial Hospital and is the climax of Medical Laboratory Professionals Week. 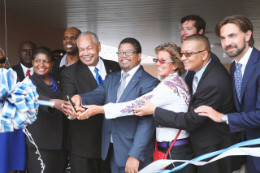 A clean neighbourhood is good for the environment, beneficial for residents, especially children, all while increasing property values and growing community investment; something Grand Bahama is working hard to do after several hurricanes and economic challenges.